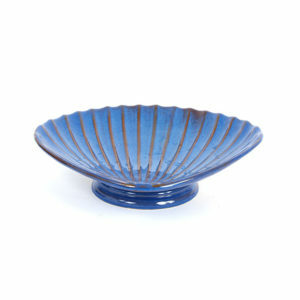 Made from frost-resistant glazed terracotta, it has a subtle green mottled colour. 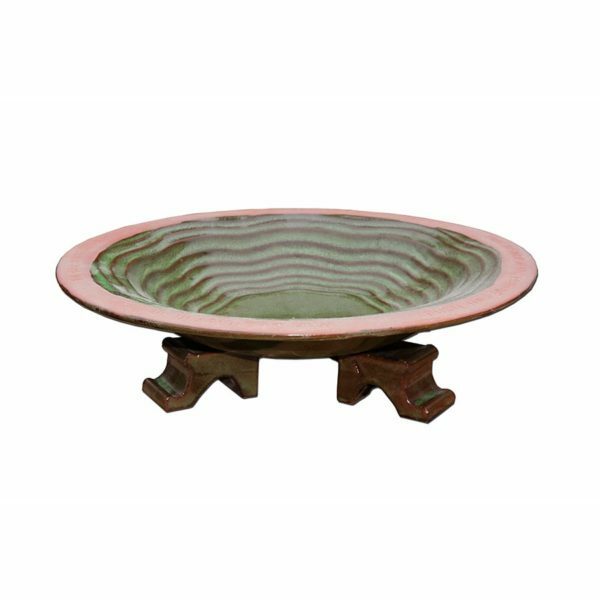 The Bird Bath features a ripple step design that is both visually attractive and functional by providing extra footing/grip for wild birds. 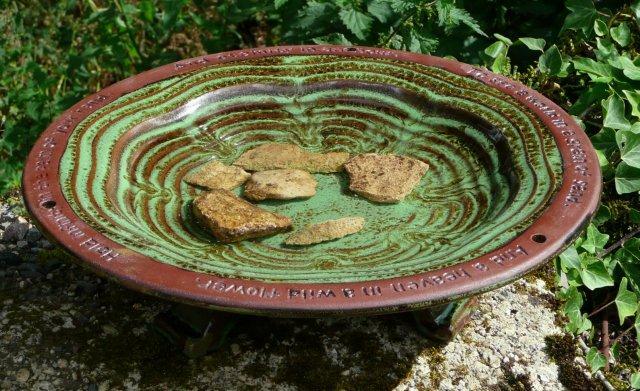 Around the contrasting unglazed rim is imprinted a quote by the poet William Blake ‘To see a world in a grain of sand and heaven in a wild flower, hold infinity in the palm of your hand and eternity in an hour’ The bird bath comes complete with 3 glazed mounting feet. 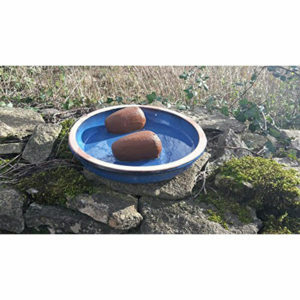 These allow the Echoes Bird Bath to be raised slightly above the ground to prevent frost damage in the same way as your garden pots. 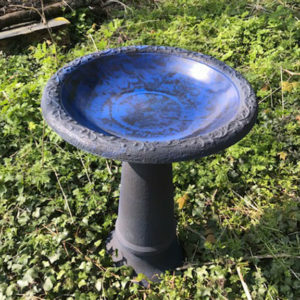 If you want to raise the Echoes Bird Bath higher off the ground you may separately purchase the matching Echoes Bird Bath Stand which is a specially designed pedestal for this Bird Bath.